I usually like to bank a few comics ahead, so that I never miss a post if something comes up. 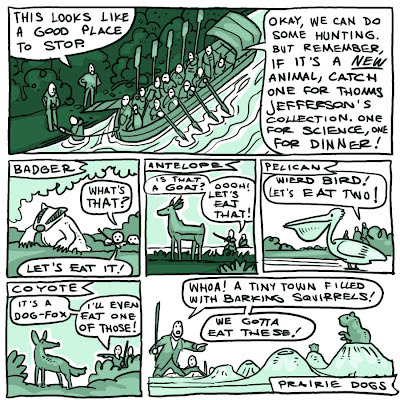 Sometimes I do the whole story in one sitting (The Pinniped Party and Lewis and Clark were done that way.) I've been unusually busy this month, though, and haven't had time to stay ahead of the curve. Phew. Anyway, today's post is here! 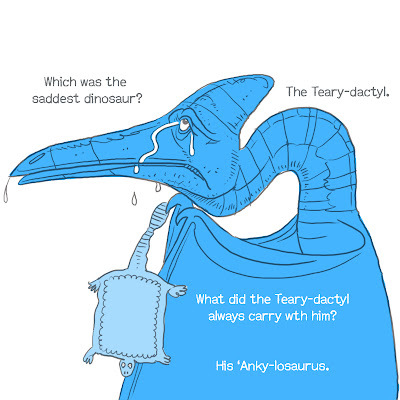 Science note: Pterosaurs were not dinosaurs, they were flying reptiles, so this cartoon has some scientific accuracy. 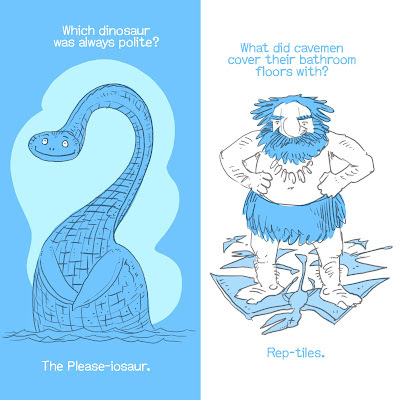 Of course, they lived millions of years before cavemen did, so putting them together cancels the whole thing out. I hope everyone who was in the market for a cheap RAPUNZEL got a copy. The $6 bargain on Amazon sold out last night. Now it's back at the regular price. 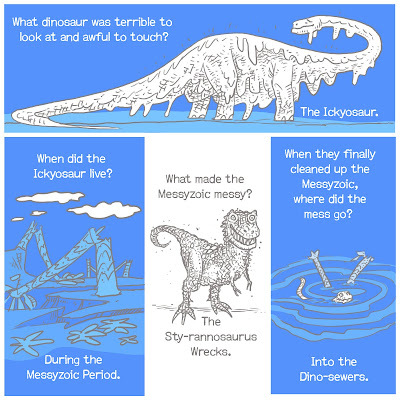 The DINO-JOKES will be back tomorrow [er, Monday]. I hate to interrupt a story this early on, but today is a rare day, a special day--a book finishing day. What was today's book? 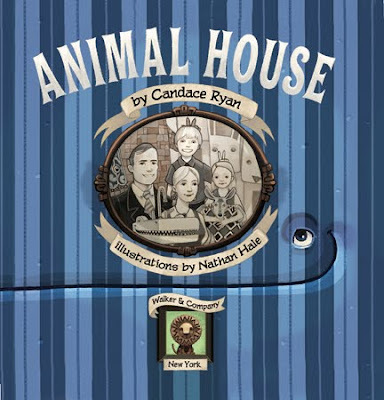 A book called ANIMAL HOUSE that will be out in 2010 from Walker & Company. I finished the interior illustrations this summer, but we took some extra time to supercharge the additional material, the endpaper, back cover and title page. The title page was the very last piece of the puzzle. There might be some small fixes or tweaks, but as far as creating any new paintings goes, this book is finished. The book is about a family who live in a house made of living animals. The striped background here is the "Whalepaper." It's a very weird, very fun book. I'll talk more about it when we get closer to the release date (a year from now.) The little lion is a painting version of Walker's cute lil' lion logo. I love it when a publisher lets me mess with their logo. 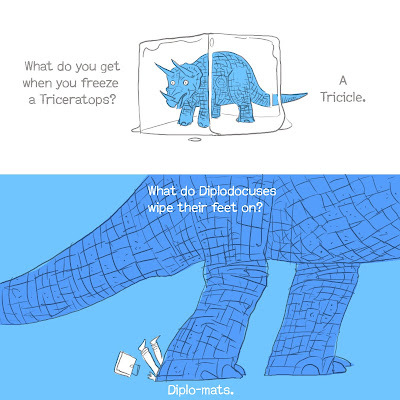 Back to the dinos! 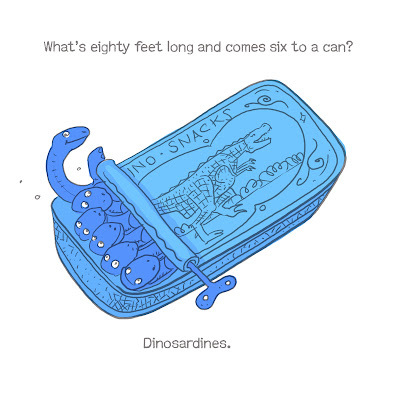 And I want some good comments left on the "Dinosardines" post. So far there are zero! Get busy! I did a major school visit yesterday--did an assembly for each grade, K-6. Phew! It was an all day blowout. Thanks for having me Hayden Peak Elementary! Off we go on a new story! I'm not going to tell you what this story is about, you'll have to peice it together from its cryptic, hard to understand title. 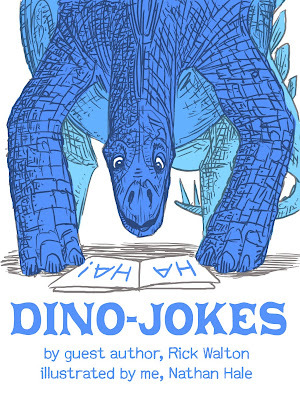 My friend Rick Walton (author of over 5,000,000,000 picture books) is doing the writing on this one. Visit his website here. 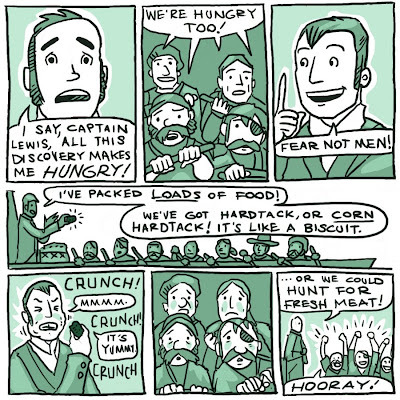 Hold on to your walnut-sized brains, this is going to be prehisterical! 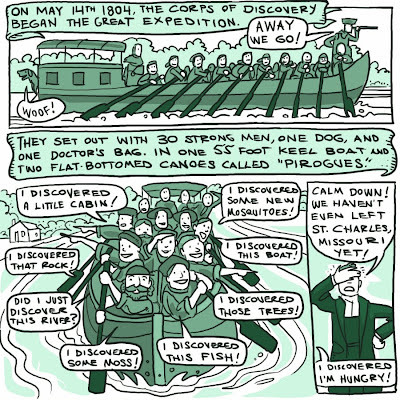 I thought we'd say goodbye to Lewis and Clark in style. 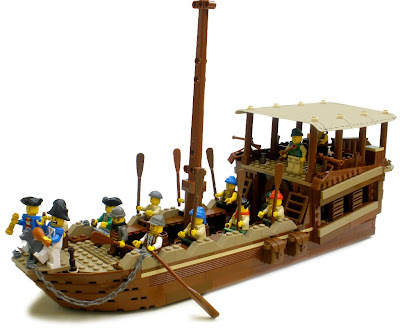 So this weekend, my son and I built a replica of the famous Corps of Discovery keelboat. 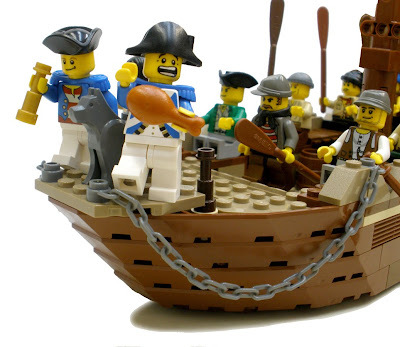 We used the most historically accurate material available--LEGO! Here's a close-up of Lewis, Seaman (the dog) and Clark--about to jump overboard. Yes, the Lewis and Clark trail can be traced by the mercury content remaining in the soil. How's that for a bizarre historical fact? 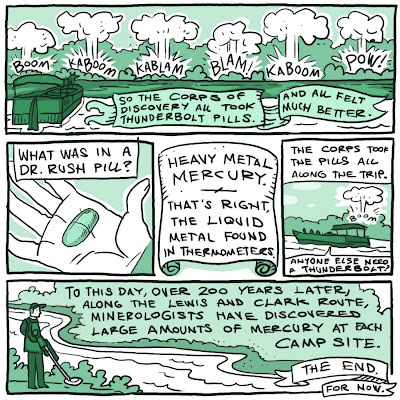 Actually, in researching this story, I found out that the Thunderbolt pills were only a small part of the mercury residue. 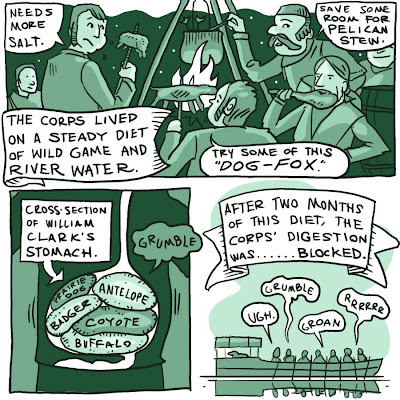 The bulk of the mercury came from the corps drinking straight mercury, which was a stomach remedy in those days. 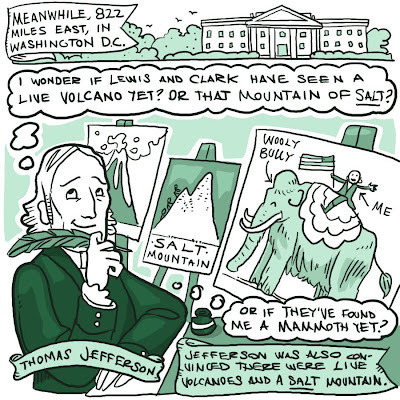 I hope you've all enjoyed Lewis and Clark and the Bottle of Thunder--I know I have, this has been my favorite story yet. 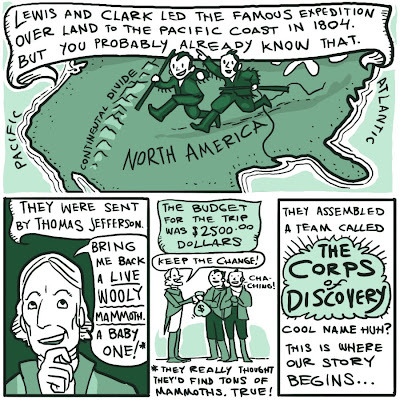 Lewis and Clark may return, since this little story only covers the first two months or so of their trip. Heck, they haven't even met Sacagawea yet. There are plenty more adventures to come with L. and C.
I've seen them referred to as both "Thunderbolts" and "Thunderclappers." Yes folks, this is real--real documented history, and yes, it is also an elaborate potty joke. 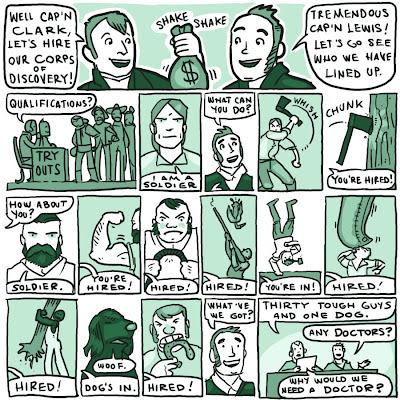 See, I told you I knew a good story about Lewis and Clark--you really can't make this stuff up. Tomorrow will be the final day of the Bottle of Thunder story. Another Amazon deal--I don't know what the story is here, but you can get a new paperback RAPUNZEL'S REVENGE for $6. Get them while they're hot! Okay, this is a little departure from the main story line. 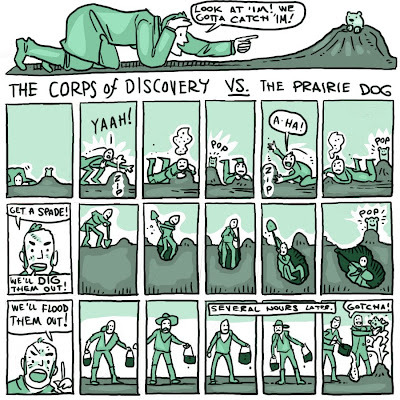 But when I read that Lewis and Clark spent a full day trying to catch one prairie dog (they actually tried all these methods) I had to do a cartoon about it. In the end they were able to catch two; one for science, and one for, you guessed it, Captain Lewis' supper. 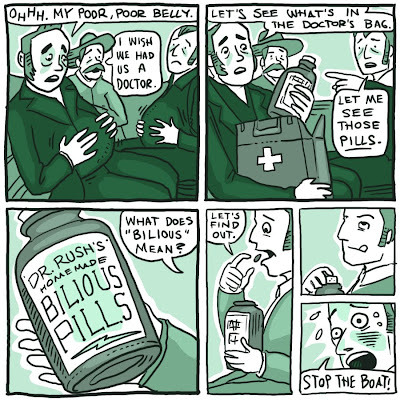 I'll describe it for you, it's a silly cartoon of me, having lots of fun, not drawing web-comics on Labor Day. At seventeen panels, this is the new Station record holder for complex daily cartoon. Hold on to your hat!